Art Nouveau key chain is part of one of the earliest Limited Editions made by S.T. Dupont. 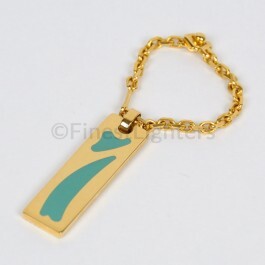 The key chain is gold plated and finished with authentic green Chinese lacquer. Only 1000 individually numbered pieces were made in the far 1993 (very rare). For more information about S.T. Dupont Art Nouveau Limited Edition click here.